Lieutenant Colonel Dargue was the son of Herbert Arthur Dargue, Major General, United States Army. Donald Salmon Dargue, USMA 1943, passed away on March 24, 1993. We are actively seeking information concerning the Colonel. October 7 1944 shot down by flak. 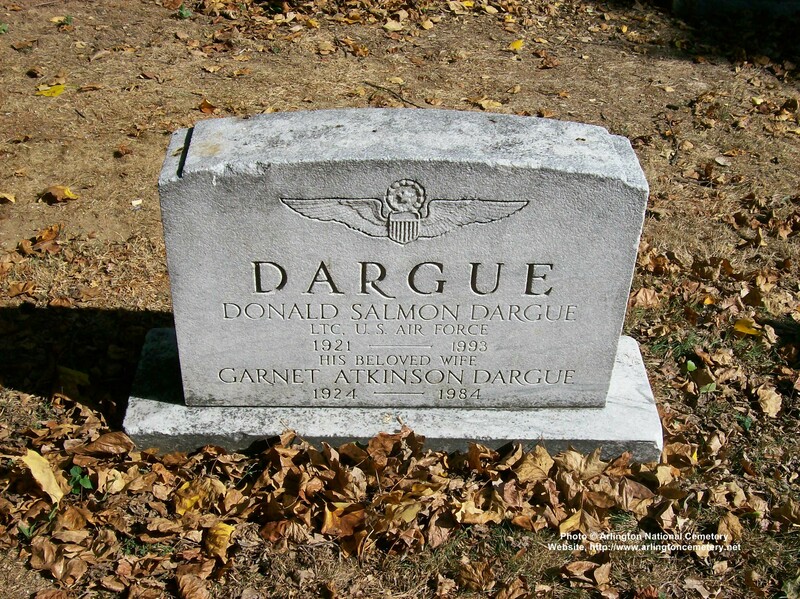 Pilot Lieutenant Donald S. Dargue. Target Politz. Prisoner of war.